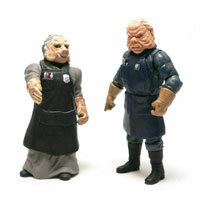 Ugnaughts are one of the creepier creatures from the original Star Wars trilogy. First appearing in “The Empire Strikes Back,” they seem to fill the municipal maintenance functions and act as general laborers. I was never certain of their alliances, though. They play monkey in the middle with C-3PO’s head against Chewbacca. Then they assist the Empire in carbon freezing Han Solo. But, if they were truly pro-Empire, why would Lando have tolerated them there? As a brief aside, an Ugnaught is what I always think of when viewing the Seinfeld episode, “The Bris.” That’s the one where Kramer is trying to investigate and liberate a Pig Man from a NYC hospital. 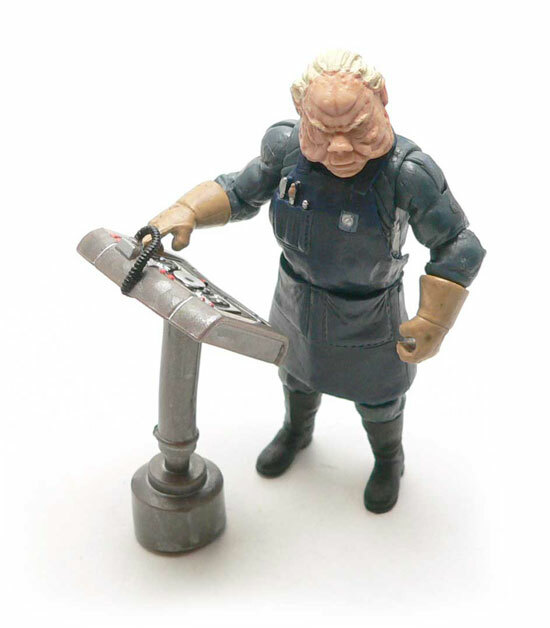 There are a number of Ugnaughts shown running around Cloud City in various scenes of Empire. There are some in the scenes after the Falcon lands that appear to be higher status pigs. Hasbro is giving us a variant later in the year that is more like one of those. 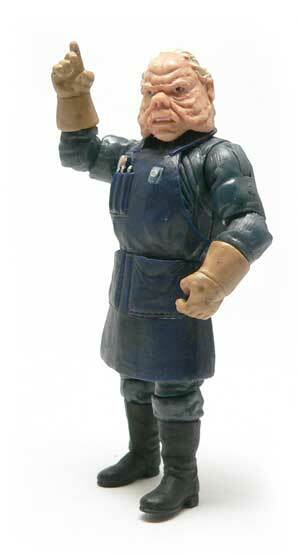 This version is the “Blue Collar” Ugnaught. No, he doesn’t drink beer and say, “Git ‘R Done.” He’s geared up for working in either the Bespin recycling facility or carbon freezing chamber. Heavy work gloves and an apron. 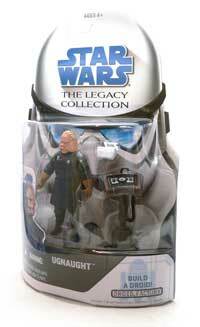 The last time we saw an Ugnaught figure was in the Power of the Force line. At that time, we saw a similar pair. However, the heads seem to be reversed between then and now. The Blue Collar version gets the flatter overweight politician head and the White Collar version gets the more pig like head. Which one is right? Who knows. There were enough of these guys running around that I don’t think it matters. I’m actually hoping the heads are swappable so I can army build a little army to take over…what am I saying. I’m not going army build them, but I do hope the heads are swappable for the folks that want more variety in their dioramas. The new one is taller than the POTF and vintage versions. If anything maybe a tad too tall, but with their variety in the film, it’s hard to say. The leather gloves and apron are really what makes this guy. They are executed fairly well here. There is stitching around the pockets on the apron. The pencils and other doodads look good. The gloves have a nice wash over them to give a work glove appearance. As mentioned above this is the flatter face Ugnaught. I actually seem to recall this one being on a trading card. The face is well done with lots of deep wrinkles and a heavy brow. The hair is rather generic. It seems like it could use a bit more of a wash. It doesn’t seem to be as wild or unkempt as the screen version, but I’ll grant them frizzy hair is hard to pull off in plastic. The coveralls and boots are nice upgrade from the POTF2 version. That one had a robe on under the apron. Who could work like that? He’d be carrying a hot tray of metal somewhere, trip over the robe and end up with a permanent brand on his face. A super articulated Ugnaught? Yeah, that’s basically what we got here. Elbows, shoulders, knees, wrists, etc… I’m guessing the hip joints are mainly for the variant, since the joints are limited by the apron. Where the vintage figure tried to bridge the gap between the blue and white collar versions. It’s nice to see two separate figures here. 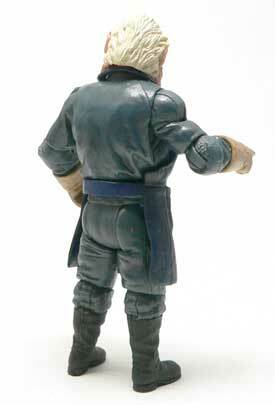 The apron and small white case are a nice nod to the vintage figure. 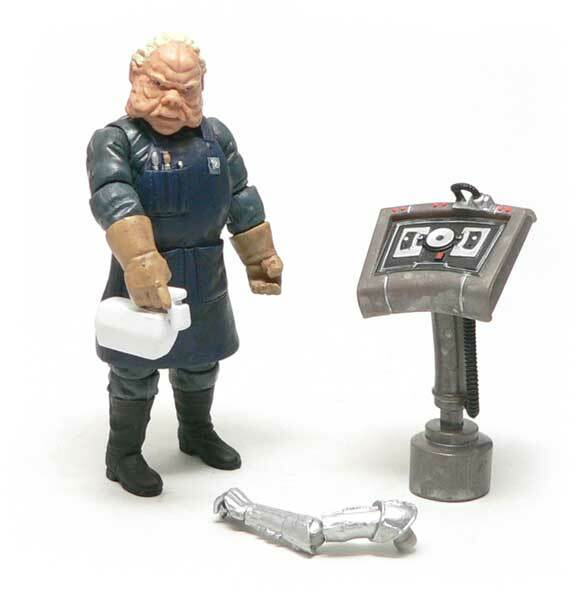 The carbon freezing porcine figure also comes with a small console. The console is a nicely done diorama piece. It mimics, I believe one of the panels in the carbon freezing chamber. I’m not sure if it’s intentional, but this one will plug on the playset over one of the little details on the floor. The only gripe I have with it, is it seems to be a bit short. I seem to remember the Ugnaughts reaching up to the controls, like the buttons were human height. 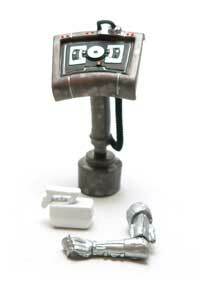 Also included is a left arm from a protocol droid. As I’m not building the droid, I’m not sure which droid it is. The arm is the well articulated and detailed, however. This is probably a figure that has needed to be re-done for sometime. All of the previous versions have had some high points and low points. It’s great to see the nods to it’s plastic ancestors in there. The white case was one of my favorite vintage accessories. Overall, this figure is a great representation of what is basically a background series of characters. I’d recommend to complete the U-3PO droid. It is a “champaigne colored” protocol droid seen at the beginning of Episode IV, and it is quite nice once completed. If you get the silver variant, you can pass it off as TC-14 too. Also, I looked up the data on this Ugnaught, and turns out that, thanks to the card game, this one is named Ugloste. Overall a pretty neat figure to have. I just caught some of Empire on Spike. Apparently, I was wrong. The consoles are Ugnaught size after all. Who knew?